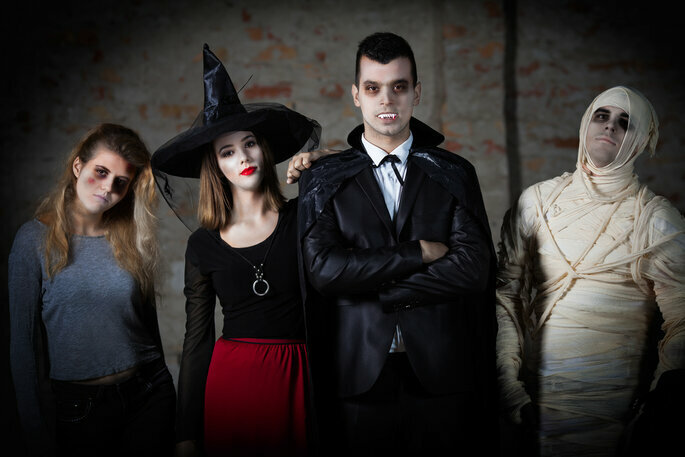 Although horror films and haunted houses are slightly terrifying, halloween is generally an exciting time for both adults and kids that love to dress up for a party. How are you planning to celebrate this year? 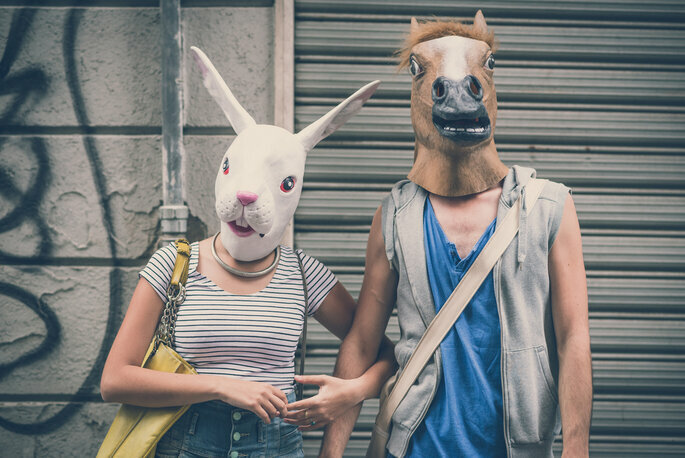 Whether you are going to a party or doing something with the family, you and your partner will need a costume. 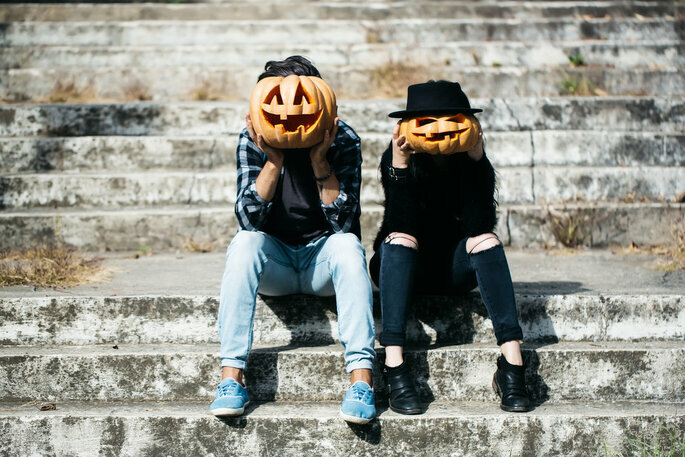 Here’s some inspiration for some of the best outfits for couples to scare, trick or treat. We love Smartphones, social networks and fast cars, but we have all fantasised about living in another century, a more traditional era with elaborate clothes – specifically in an old British mansion hidden in the country. Become the lords of one of these great historic houses and dress yourselves according to the infamous Gothic and Victorian period. Get yourself a good hat, a long jacket with frills, and a handkerchief. For the ladies of the house, black or grey dresses with a corset, opulent jewels and a veil. In both cases, dress like you’re under a terrible curse, with gory make up and white solemn faces. 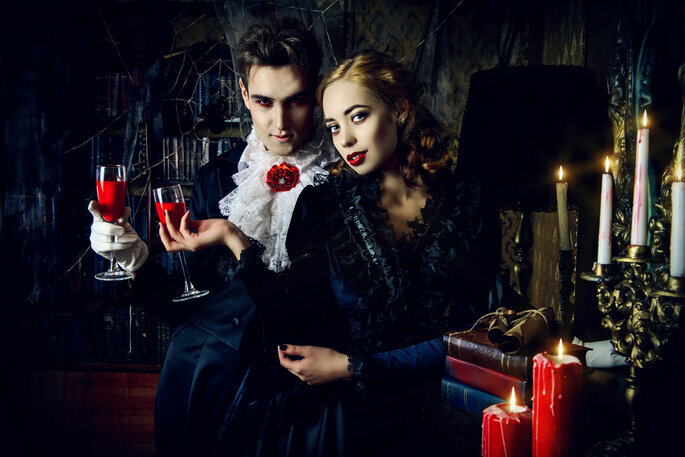 A very romantic way to dress up as a couple, because a vampire’s love is one that survives, even after death. If you opt for this disguise, you can drink ‘blood’ in company, wear shiny fangs and dress as elegant lords and ladies of the Middle Ages. Your black cloaks can be combined with dresses and suits with a touch of red through accessories or make-up. For guys, white shirts with frills and puff sleeves, waistcoats with classic prints and decorative neck accessories are also a great option. Ladies will stand out with reddish or black dresses with lace sleeves and fishnet stockings. 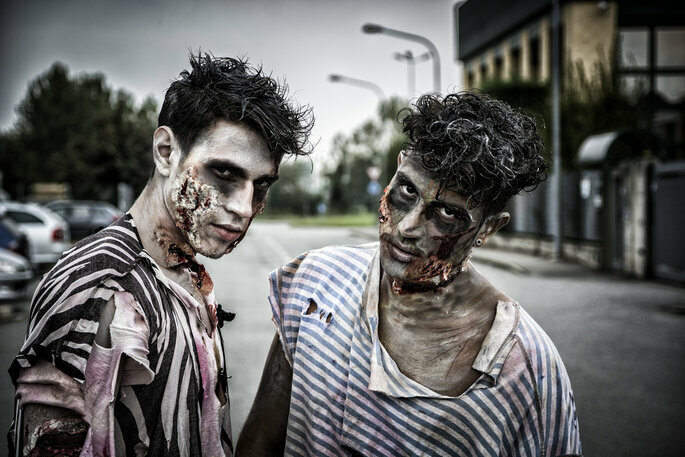 Each year more and more zombies are seen wandering around the streets on Halloween. This costume is laborious, but the result can be spectacular. Use latex and paint to corrupt your face and give it a rotten touch (there are millions of tutorials on Youtube). If you like challenges, experiment by adding an eye hanging, a jaw crashing or anything disgusting you can think of. For the rest of the costume, look for old clothes and rip them. Decorate with artificial blood and dark stains. As a couple this is a very fun costume to make. Clowns can be fun, as long as you haven’t seen the It movie. 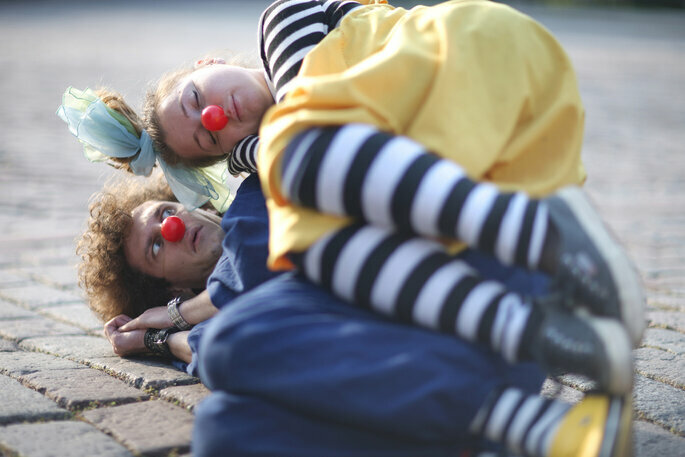 Clowns, in all their circus varieties, can be terrifying, from harlequins to buffoons. If each of you opts for a different type of clown, it may be more fun (or disturbing, depending on how you look at it). Try adding something even scarier, like blood or sharp props. Experiment with all the possibilities available in the clown category, both in clothes and in makeup and accessories. Simple and effective. You will not be disguised as zombies, but spirits that haunt graveyards. Paint your face white, add some dark eye circles and a skeleton-style face paint, and then let your hair run wild. Walk with an obvious sadness and dress in dark, old clothes. These are the characters that have always been traditional at Halloween, but if you add a touch of creativity they can really work as a couple costume. 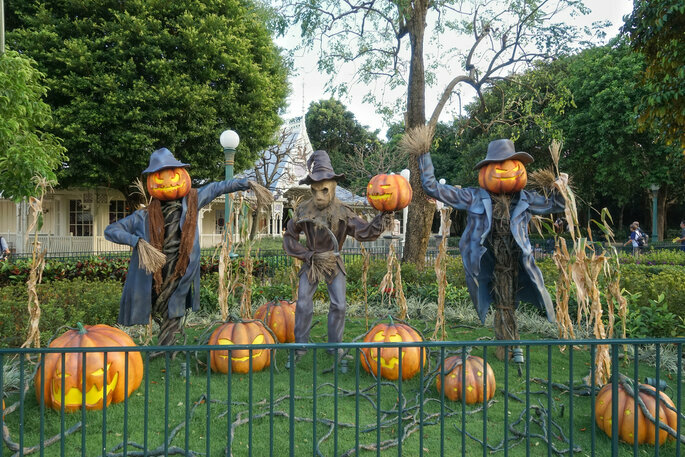 Mummies, scarecrows, witches and werewolves are the true spirit of Halloween, along with haunted houses, the creaking of wood, fog and skeletons. Everyone will recognise you and you will not have to explain your outfit idea to anyone. 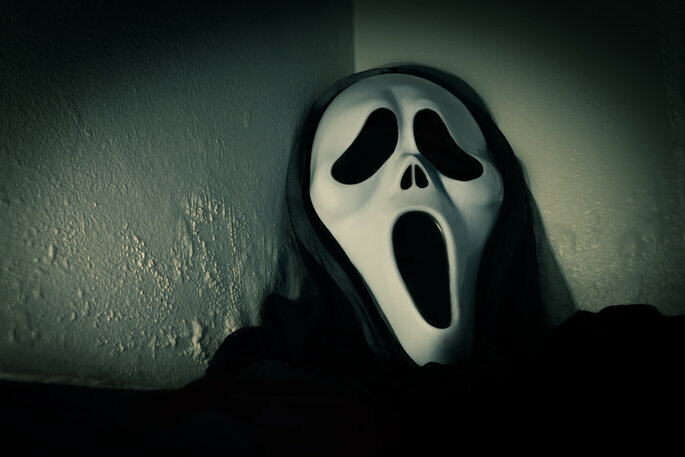 Although Halloween has a theme of terror, even in the US (where Halloween is celebrated the most) people divert from the official dress code. So, anything goes. Reach into your imagination and find interesting combinations that are scary yet unique and weird. 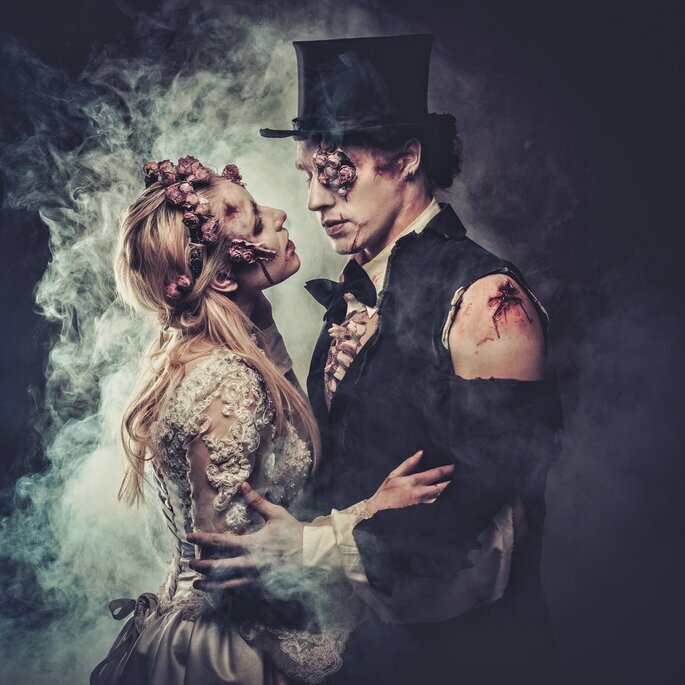 There is nothing like imagination and creativity to come up with a costume as a couple that leaves your friends spellbound. Try to have fun whilst bringing out your most ‘terrifying’ side, always with a touch of humour. Happy Halloween!